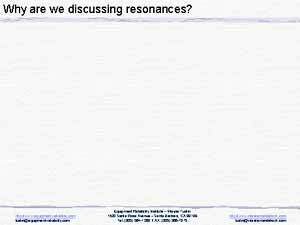 Why discuss resonance? 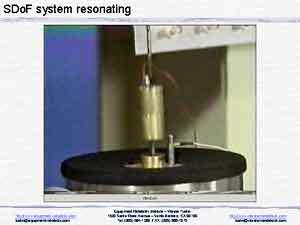 Because unless resonance is involved, vibration never causes any damage. 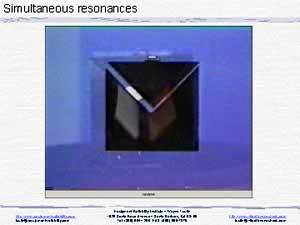 Also, many people define the study of vibration as the study of resonances. Let’s get started. 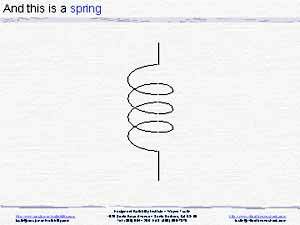 … This is a spring. It’s an unusual spring in that (theoretically) it has no mass. 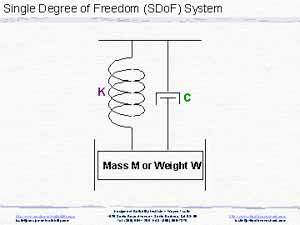 of-freedom, SDoF, system. 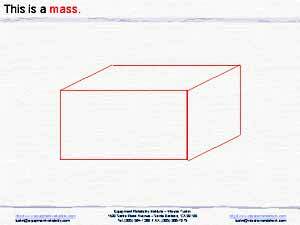 Note the guides that restrict the mass, when you excite the system, to vertical motion only. Another simple system, not shown, is the pendulum. Visualize yourself pushing a child in a swing. You experimentally discover that if you adjust your forcing frequency Ff to match the swing’s natural frequency Fn , little force is required to develop large oscillatory displacements. Has everyone had that experience? 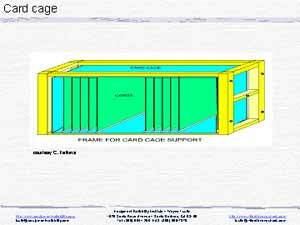 Let’s invert SDoF system and attach it to a shaker. 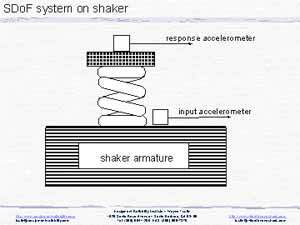 We’re going to measure both the response acceleration on the sprung mass and the input acceleration on the shaker table. We’ll divide the former by the latter as we vary the forcing frequency Ff . The ratio between response and input is called “transmissibility” or “magnification”, which we will plot in slide 9. 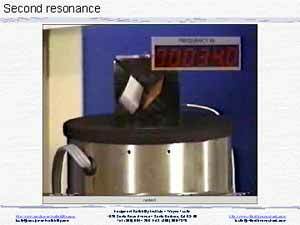 Here in this video clip, we’ve pre-adjusted the shaker’s forcing frequency Ff to match the SDoF system’s natural frequency Fn , so that little force is required to develop large oscillatory displacements. Here we have a family of transmissibility graphs. The shaker of Slide 7 was adjusted to make Ff = Fn, so that “transmissibility” or “magnification” was maximized. There are several graphs plotted here. The amount of friction or damping differs between graphs. 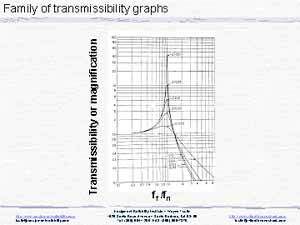 If there were no damping, the graph would go off the page (infinite transmissibility). 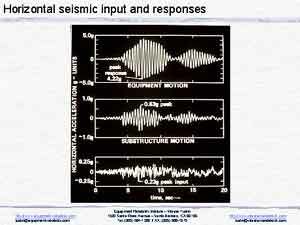 In slide 7, the shaker excitation was sinusoidal, single-frequency. 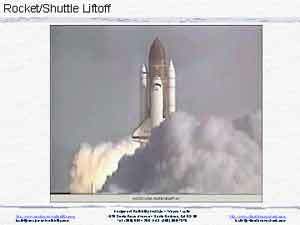 But the excitation here in this video clip, during liftoff of a rocket, is strongly random. We first became aware of random vibration when we tried to launch early rockets. Failures led to today’s random vibration testing and to today’s almost routine successful launches. … the excitation is seen, in the time domain, to be random, non-repetitive. 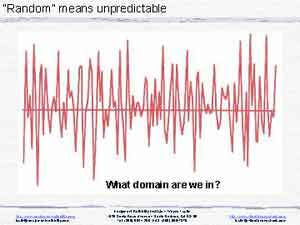 As a result, in the frequency domain, slide 14, the vibration spectrum will be seen to be continuous, to contain all frequencies, simultaneously. Here they are, fore-and-aft, left-and-right, and vertical vibration, all in the time domain, as on your oscilloscope. Down at the bottom, we see the three records in the frequency domain, on a spectrum analyzer, plotted as ASD or PSD vs. frequency. 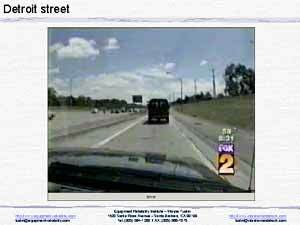 Note the broad spectrum, containing all frequencies 1-100 Hz, tapering off to perhaps 200 Hz. Vertical is most severe. 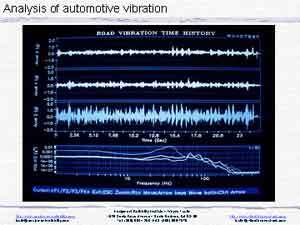 What is the effect of such continuous spectrum vibration? Here in this video clip you see two reeds pointing at you. With single-frequency-at-a-time sinusoidal shaker forcing at 22 Hz, we see the red reed responding strongly. Eventually this reed will break, right? Fatigue failures are not our goal here. at-a-time sinusoidal shaker forcing at 34 Hz. Note that the white reed responds strongly. Eventually this reed will break, right? Again, fatigue failures are not our goal here. Please note that, because of the geometry, one reed or the other reed or neither reed, will respond. The reeds cannot collide, right? But visualize what will happen if the shaker vibrates simultaneously at all frequencies. Here in this video clip the shaker excites the reeds at all frequencies 1-100 Hz, simultaneously. Both reeds respond. If we had sound, you could hear them collide. What kind of physical unit might these reeds represent? and-right. At ff2, another of the printed wiring cards responds, left-and-right. At ff3, another of the printed wiring cards responds, left-and-right. None moves far enough to strike its neighbors. 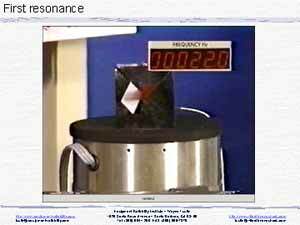 The unit passes a sine vibration test. But the unit is known to fail in flight. So, in our lab, let’s excite it with random vibration. Now the cards collide, much as they do in flight. The unit fails a random vibration test. Look at these three time histories. They were recorded simultaneously in a building’s basement, on an upper floor and inside an equipment on that floor. The mixture of earthquake frequencies at ground level, reaches 0.23g peak. One frequency in particular excites floor resonance, exciting a peak response of 0.63g. Someone made an error and mounted, on that floor, an equipment having the same natural frequency as the floor. Note that inside the equipment, response reaches 4.22g. Someone has violated Rule #1 of dynamic design: THOU SHALT NOT STACK THY RESONANCES!! Please write down that rule!! The automotive folks I teach next week place their instrument cluster natural frequencies where there is little instrument panel resonance. They place their instrument panel natural frequencies where there is little body bending and twisting. 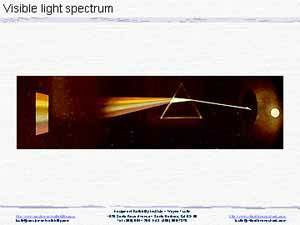 They place their body natural frequencies where there is little suspension resonance. They all avoid stacking resonances. You should do the same.